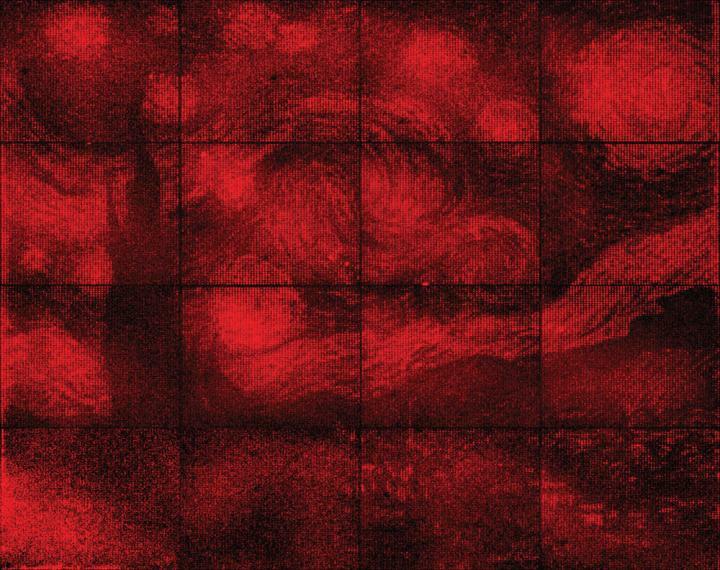 Using folded DNA to precisely place glowing molecules within microscopic light resonators, researchers at Caltech have created one of the world’s smallest reproductions of Vincent van Gogh’s The Starry Night. The feat is a proof-of-concept of how precision placement of DNA origami can be used to build hybrid nanophotonic devices at smaller scales than ever before. DNA origami, developed 10 years ago by Caltech’s research professor Paul Rothemund, is a technique that allows researchers to fold (in a test tube) a long strand of self-assembling DNA into any desired shape. The folded DNA then acts as a scaffold (support) onto which researchers can attach nanometer-scale components. KurzweilAI has reported extensively on DNA origami — most recently, an automated design method for creating nanoparticles for drug delivery and cell targeting, nanoscale robots, custom-tailored optical devices, and DNA as a data storage medium, for example. Meanwhile, over the last seven years, Rothemund and associates have refined and extended DNA orgami so that DNA shapes can be precisely positioned on almost any surface used in the manufacture of computer chips. Now, in a Nature paper on July 11, they report the first application of the technique — using DNA origami to install fluorescent molecules into microscopic light sources for use in single-molecule detection, quantum computers, and other applications. The work was supported by the Army Research Office, the Office of Naval Research, the Air Force Office of Scientific Research, and the National Science Foundation.